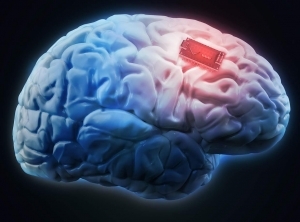 Australian researchers have developed a tiny device to electrically stimulate the brain, opening the door to new potential treatments for brain diseases. Australian researchers have developed a tiny device to electrically stimulate the brain in the hope of treating epilepsy and Parkinson's disease without invasive surgery in the future. The Stentrode device, just 4mm in diameter, can be permanently put inside a blood vessel to place electrodes in the brain through a vein in the neck, according to a study released on Tuesday. The device was put into blood vessels in sheep and their brain tissue was simulated, the proof-of-concept study published in Nature Biomedical Engineering reveals. "By adding the ability to speak to the brain using electrical stimulation, we have created a two-way digital communication device," Lead researcher Dr Nick Opie said. "In one application, the Stentrode could be used as a tool to record the onset of an epileptic seizure, and provide stimulation to prevent it." It is hoped the device could be used for a range of treatments which traditionally require open brain surgery including deep brain stimulation for epilepsy and Parkinson's disease. "This offers hope of less invasive treatments for the symptoms of conditions such as Parkinson's disease, epilepsy, depression and obsessive-compulsive disorder," co-author Dr Sam John said. It builds on 2016 research which found the device could be used to record brain signals related to movement. Researchers at The University of Melbourne, Florey Institute of Neuroscience and Mental Health, The Royal Melbourne Hospital, Monash University and Synchron Australia contributed to the work.